A beautiful part of Memorial Park,the Peace Garden is located just off the small parking lot at the front of the park. Created by Pauline (Polly) Underwood, and further developed and enhanced by Jill Hudock, as a pocket of beauty and tranquility, the Peace Garden is a lovely, quiet spot to explore and refresh. Created and dedicated in the 1990's, the Peace Garden is maintained by dedicated volunteers. The Peace Garden was an inspired thought of the late Polly Underwood. She was a strong peace advocate looking for a tangible way to express her ideals. Polly's husband, Roy, was an avid gardener and to honor him and incorporate her passion, the Peace Garden was born. In 1991, Polly recruited friends to make her dream a reality. 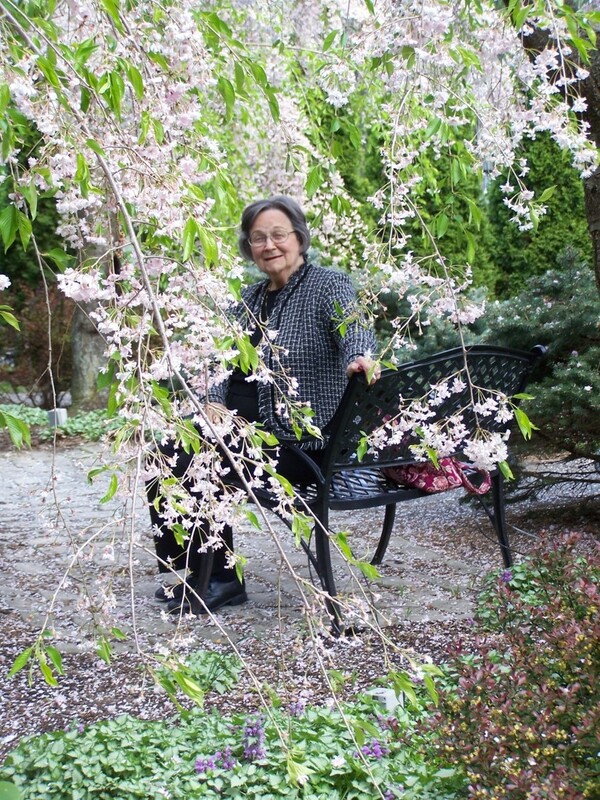 New to gardening at the age of 73, Polly wisely included 2 Franklin County Master Gardeners. Shippensburg Borough donated a space next to Veteran's Stadium in Memorial Park for the garden. A designer from Harrisburg was hired to create a basic plan and he designed the guitar shaped path enclosing four trees and a Peace Pole. Jill Hudock joined the Peace Garden group in 1999, the garden at that time is pictured to the left. A few months and a $10,000 grant later, the space really began to look like a developed garden (also pictured at left). And the bottom photo is the garden at present. After the original wooden Peace pole deteriorated, it was replaced with one designed by Jill that incorporates a dove that was formerly part of a weather vane and was given as a memorial donation. "May Peace Prevail on Earth" is the standard sentiment universal to all peace poles. The words are engraved in English, Spanish, Russian and Vietnamese on the sides of the new pole. Sculpture in the garden is kept simple to let the beauty of the plants and trees standout. The garden is used for photos and events. Prom pictures and senior portraits are common. Photographers enjoy capturing the latest flora and there have been marriage proposals and weddings in the garden. 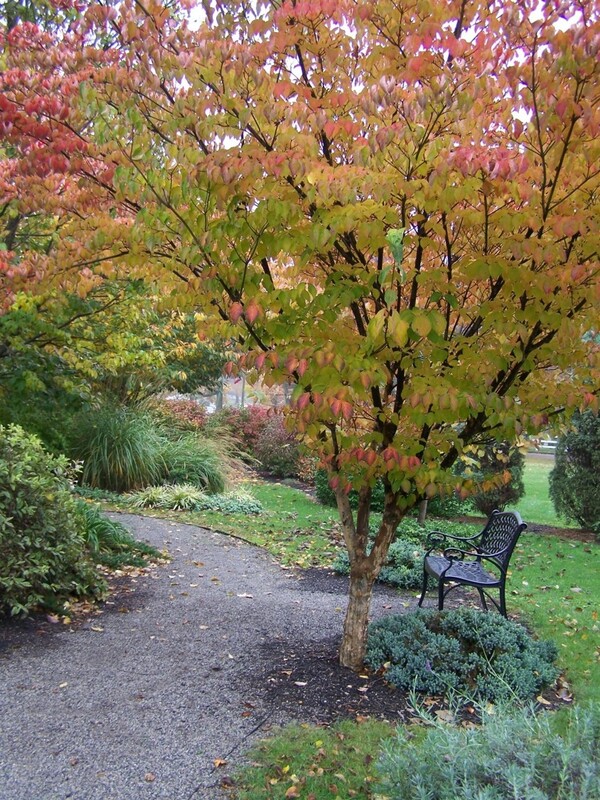 In 2011, the garden won the PA Horticulture Society Award for Outstanding Public Planting that improves the quality of life through horticulture. In spring, three cherry trees: Weeping, Kwansen and Mt. Fuji fill the garden with color along with the fragrant viburnum. Bringing color throughout the summer are the Peace Rose, Beauty Berry, Clematis Niobe, Double Lilac Rose of Sharon and chrysanthemums. The Lions Club and Rotary Club help with the black mulch which is picture perfect. Fall is another beautiful time in the garden. The fiery colors and fragrance of the trees and plants as they prepare for winter is quite a contrast to the soothing greens, pinks and purples of spring and summer. As the final season settles in, the Peace Garden is still a pleasant place. Snow highlights every feature, the benches are still welcoming, the bridge still beckons. "We must be the change we wish to see in the world." Polly Underwood understood that. She bravely started a new chapter in her life creating a place that has affected many people. In 2011, Polly passed away at 92 years of age. Polly gave Jill the opportunity to design the garden and ended up giving her so much more. Donations to the Peace Garden can be submitted to Shippensburg Community Parks and Recreation Authority. Checks should be made to SCPRA and be clearly marked "Peace Garden". If you would like to volunteer your time and energy to help with the maintenance of this beautiful garden, please contact the SCPRA office 717-530-0261. Thank you!